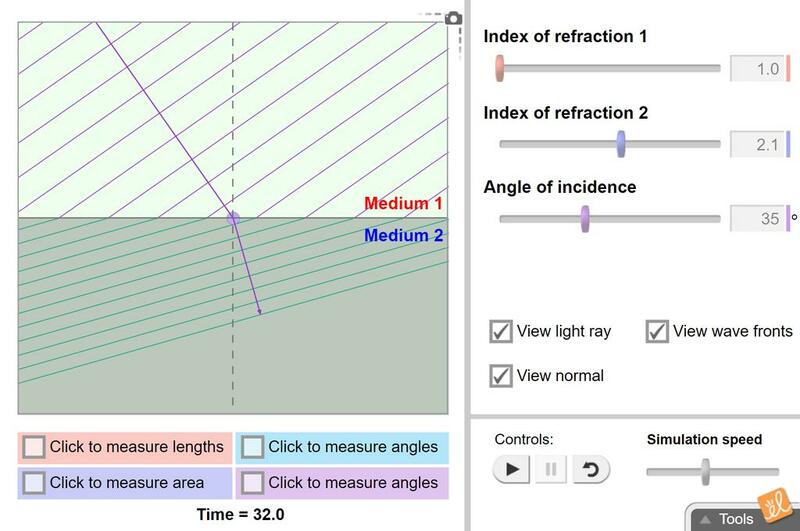 Determine the angle of refraction for a light beam moving from one medium to another. The angle of incidence and each index of refraction can be varied. Using the tools provided, the angle of refraction can be measured, and the wavelength and frequency of the waves in each substance can be compared as well. Suitable for SNC2P, general exploration of refraction but without math to determine Snell's Law. Explore... (more) effects of changing angle of incidence on angle of refraction. Explore effects of changing speed of light in different media on angle of refraction.